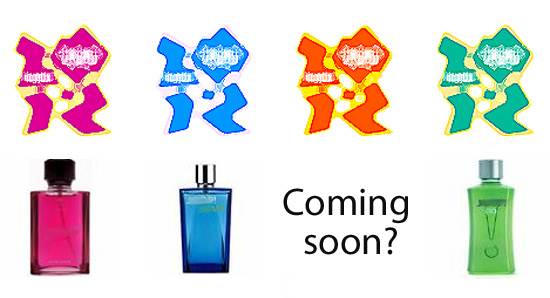 Has anyone else noticed the colour similarities between a recently unveiled logo and a well known fragrance for gentlemen? OK, so the green one is slightly off, but who’s to say the corresponding logo won’t evolve over the next five years or so. We don’t wish to name either party, having no desire to contravene strict rules of brand association. And we would like to stress that the organisations behind the top and bottom halves of our image are in no way linked, to the best of our knowledge, and their connection here is purely for the purposes of weak satire. Can you tell we’re being cautious here?